Welcome to our 52nd season! We didn’t get a chance for an after-party in June, but will be making up for it with a get-together at Fred’s place on September 7th at 2:00 p.m. Bring something to grill! We’re fortunate to have Fred and Greta leading us together again. They make a great team and have a wide range of tastes and talents between them. We’ll polish up the Telemann and the Bach, and learn a wide variety of new pieces from several periods, from the seriously lush to the whimsical. Preparations are well under way for next January’s MPRO Workshop, too. It will feature another renowned talent, Adam Gilbert of Ciaramella — one of the finest musicians from one of the most famous early wind bands around, and a big reason I got back into early music again. This promises to be a great year, and I’m very much looking forward to sharing it with you. See you at practice on the 3rd! Welcome back for another season of fine music making. I am pleased to announce that Adam Gilbert will be directing a workshop to be presented by MPRO on Saturday, January 31. In addition to being a musicologist, Adam Gilbert has performed with several outstanding early music ensembles in the United States, Latin America and Europe on recorder and historical double reeds and is a founding member of Ciaramella, which specializes in the performance of 15th-century music. He is currently on the faculty of the University of Southern California where he teaches early music performance and is Director of the Early Music Program. He studied recorder at Rotterdams Conservatorium and is a recipient of the Fulbright and Belgian American Education Foundation Grants. He completed his PhD at Case Western Reserve University in 2003 and taught for two years as a visiting assistant professor at Stanford University. He can be heard on the Dorian, Deutsche Grammophon’s Archiv, Passacaille, Musica Americana and Lyrichord labels. This will be a wonderful opportunity to work with one of today's leading experts in renaissance music and its historical performance, and I encourage everyone to attend what promises to be a stimulating, highly informative and musically rewarding event. Details concerning the workshop will appear in future issues of Upbeat. In the meantime, please reserve January 31, 2015 on your calendar for this workshop. I am also pleased to announce that Greta Haug-Hryciw will be retuning this season as MPRO’s Assistant Music Director. For the orchestra’s holiday concert in December, Greta and I have chosen several interesting and attractive selections. These include Spanish and French versions of “Farewell my love” by the two great renaissance masters, Francisco Guerrero and Josquin des Prés, and on the lighter side, Greta’s arrangement of the theme song from films based on Astrid Lindgren’s children’s books and their fictional heroine, Pippi Långstrump. The program will also feature MPRO member Gregor Dairaghi as bassoon soloist in a hauntingly beautiful early baroque concerto by the Polish composer, Adam Jarzebski, and a harmonically adventurous instrumental piece for recorders, krummhorns and basso continuo by the 16th-century Italian composer, Giorgio Mainerio. In addition, we will be including the Telemann Concerto in B flat Major and Bach Passepieds I and II from last season. We will also be welcoming back Irene Beardsley on keyboard, who will be joining the orchestra for the performance in December. there will be sectional seating for the Telemann Concerto in B flat Major, with those playing Soprano Recorder 1-3, Alto Recorder 1 and Tenor Recorder 1-2 sitting on the right as they face the conductor and those playing Alto Recorder 2, Tenor Recorder 3-4 and Bass Recorder on the left. Please observe this seating arrangement when you choose your place at the beginning of the meeting on September 17. Please note as well that bassoon will be needed at all three meetings, and sopranino, great bass and contrabass recorders as well as krummhorns will be needed at the meetings on September 3 and October 1. 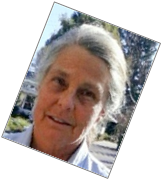 Finally, Irene Beardsley will be with us at the September 17 meeting, and since this will be one of the few opportunities to rehearse the music that calls for keyboard with all forces present, I encourage everyone to attend that evening. Non-members are invited to be our guest at a regular meeting of the Mid-Peninsula Recorder Orchestra. Bring your instruments or just come and listen. MPRO 2014-2015 season rehearsals begin Wednesday, September 3, from 7:30 to 9:30 P.M. at Jane Lathrop Stanford Middle School, Room 060; 480 East Meadow Dr., Palo Alto. The orchestra is open without audition to recorder, early wind and early string players who are able to read and play the music provided at meetings. 2014-2015 rehearsals: Sep 3, 17; Oct 1, 8, 29; Nov 19; Jan 7, 21; Feb 11,18; Mar 18, 25; Apr 1, 22, 29. May dates & locations TBD. Concerts: TBD. Concert dates will be posted on our website http://www.mpro-online.org as soon as they are available. Music teachers: Please share the information about MPRO with your students and encourage any who you feel are ready to attend one of the orchestra's meetings this season. Please contact Music Director, Fred Palmer, (650) 591-3648. Want to receive Upbeat by e-mail? Moved? Please tell us: Membership. Welcome to our 52nd season! This fall LouAnn Hofmann will be taking over as MPRO’s new treasurer. I would like to thank LouAnn for graciously volunteering, and ask that you give her your usual helpful support. For the last five years I have had fun being MPRO’s treasurer. Interacting with orchestra and Board members and SFEMS administration (Dorothy Manly and Harvey Malloy) has been an enjoyable learning experience for me. I want to thank everyone for his/her kind assistance. As a parting shot, I would like to again urge anyone willing to make a donation to MPRO to do so by writing a check to SFEMS (noting that the check is for MPRO) and delivering it to LouAnn who will route it to the right people. In the past five years we have, with a bit of luck, just been able to keep costs at about the level of our income, including donations. So, we have managed to maintain the balance of our General Fund at a reasonable level, but this is not a guaranteed situation. With costs increasing, any donation will help us to keep dues constant while paying our bills. Thank you again for your support, and I look forward to playing along with you in the future. Welcome to MPRO's fifty-second season! As we start the year please give Leslie Pont lots of thanks and applause. She has been guiding me through the job of MPRO Treasurer. Leslie has been an exceptional steward of the chapter's finances. In my opinion, Leslie is well qualified for the Statehouse! We are starting slightly lower this fiscal year than in our previous season. Donations have always been an important part of our budget and help keep dues affordable. Please consider a contribution by separate check payable to SFEMS and designated for MPRO. Donations are tax deductible. MPRO’s Assistant Music Director, Greta Haug-Hryciw, arranged the version of “Pippi Långstrump” which the orchestra will play this season. Greta also provided the lyrics and a translation from Swedish, pointing out, “The lyrics are just for fun. They will not be sung.” She also provided the following links to recordings of various versions of the Pippi theme song, along with her comments. “Here are two youTube recordings of the song - one from which I created my arrangement and the other cute, jazzy and percussive. 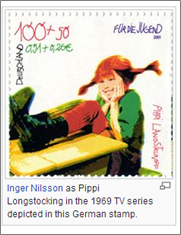 Pippi is the imaginative and adventuresome creation of Swedish author, Astrid Lingren. When Pippi is not sailing the South Seas with her buccaneer father, she is at home in her very own house, Villa Villakulla, where she lives with her horse and monkey. Many adjectives are required to describe this unconventional girl, who was the subject of several series of fictional stories written by Lingren over the span of years, 1945 to 2000. Pippi is unpredictable, lovable, assertive, playful, kind, lacking in formal education, untrained in manners, and a teller of tall tales about her travels with her father. Lindren’s Pippi books have been loved by children for several generations, translated into 64 languages, and produced as movies. This music should make us feel young at heart. Many thanks to both Fred and Greta, for their amazing, creative arrangements for the orchestra. min lilla söta fina apa? my nice, cute little monkey? Har du sett herr Nilsson? Have you seen Mr. Nilsson? Ja, för han heter faktiskt så. Yes, that’s really his name. min villa villekulla villa? my Villekulla Cottage house? varför villan heter så? why the house is so called? ja, där bor faktiskt jag. (Refrain) yes, I really live there. är ju också bra att ha. is also good to have. tjolahopp, tjolahej, tjolahoppsan sa. tyolahopp, tyolahey, tyolahoppsan sa. Yes, this is really me! If you are unable to download the MPRO music, Laura Gonsalves will make copies for you. Call her before September 2 and she will have music for you at our first meeting on September 3.The price is 20 cents a page. MPRO member Lois Ario passed away May 12, 2014, on her 81st birthday. Lois played a wide range of recorders and krummhorns with MPRO, as well as with other groups. She joined the orchestra during the 2006/2007 season. We will miss Lois and her participation.